One of the first things you need to do when remodeling a home is establish a home remodeling budget. As part of any budgeting process it is important to think about contingency planning. Whether your home remodeling project is as simple as renovating your bathroom, or as complex as building a home, home remodeling contingency planning is vitally important. A home remodeling contingency plan begins with thinking about what could go wrong in your home remodeling plans and writing them down. 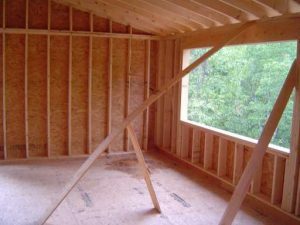 When it comes to home remodeling and new home construction make no mistake that many things can and will go wrong during the life of the project. To address potential costs overruns every home remodeling budget should include a home remodeling contingency line item. The home remodeling contingency should be set to somewhere between 5 and 10% of the overall cost of the project. To address the concern of subcontractor issues, have a backup list of subcontractors that you can call. This way if you have a subcontractor that backs out at the last moment or who is not working out you can go to your “bull pen”. Calling in a backup contractor probably will end up costing you in terms of project schedule but by at least having a list at the ready you can mitigate some of the potential schedule impact. Another important aspect of home remodeling contingency planning is communication. Make sure to touch base with your contractors / subcontractors weeks before the start of your home remodeling project to make sure they have you “penciled in” for when you want them to start. By contacting them periodically before the planned home remodeling start date you can make sure they have no issues that could delay their arrival on your job site. If you do learn that there is an issue, then you can possibly work out a mutual solution or go to your bull pen if need be. Also, when signing any contract with a contractor, make sure there are specified start and complete days in the contract. This way if they don’t show up at the job site when agreed upon you have grounds for finding their replacement. In addition, make sure every contract includes a complete breakout list of materials that the sub contractor will supply for completing his or her work. You may want to consider using one of my home remodeling bid sheets and their associated labor/material tracking spreadsheets. 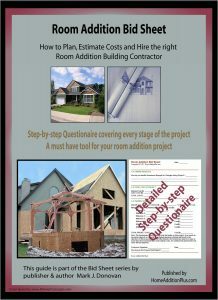 My home remodeling bid sheets and spreadsheets are ideal for managing overall home construction project material and labor costs. Trying to keep track of multiple contractor contracts and material lists can be difficult. By organizing all of the material and labor costs in one home construction Excel spreadsheet file you can more easily monitor and control your home remodeling costs. 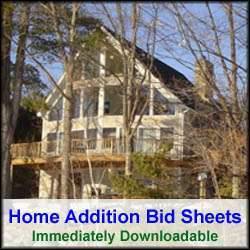 Check them out at Home Addition Bid Sheets. So make sure you include home remodeling contingency planning when developing your home remodeling plans. You’ll save yourself some hassles and heartache, as well as time and money, by doing so.